Hi again! It's Simon Viklund of the OVERKILL crew who is back to educate you on the many different virtual law enforcers that will stand between you and the virtual cash/diamonds/gold bars you're supposed to steal in our upcoming PS3/PC co-op FPS game Payday: The Heist! Yesterday we started talking about the special units of the game, focusing on the Shield. As mentioned then, whenever you spot a special unit you can use the "shout-out" commando to tag it. This outlines the unit so that you and your teammates can cooperate more easily in order to take him out. Today we're focusing on this guy: The Cloaker - a special unit that often uses alternative entry points in order to appear out of nowhere, and he moves quickly and silently. He has a silenced SMG that he uses with a surgeon's precision from a distance, and he'll sprint towards you if he gets the opportunity and incapacitate you through one swift strike with his electric baton. And then he'll stand around and beat you a little more just for good measure! 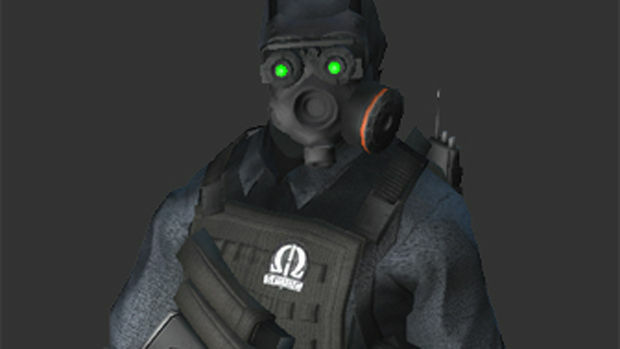 Whether you've successfully taken out a Cloaker or you're lying on the ground getting beaten by one while your teamates who come running to your rescue, every combat ready robber should be on the lookout - because Cloakers often move in groups of three: If you've got one pinned down or killed, chances are there are more Cloakers lurking in the vicinity. The Cloaker is the kind of enemy that tests your diligence to maintain a fully loaded weapon, because if you empty half a clip into the Cloaker and then need to reload, he's gonna use that time window to run up to you and knock you out cold! He is a hard-handed teacher, but eventually the Cloaker will have taught you to keep doing tactical reloads, and not run out on your own when you've been informed that Cloakers are on the scene! 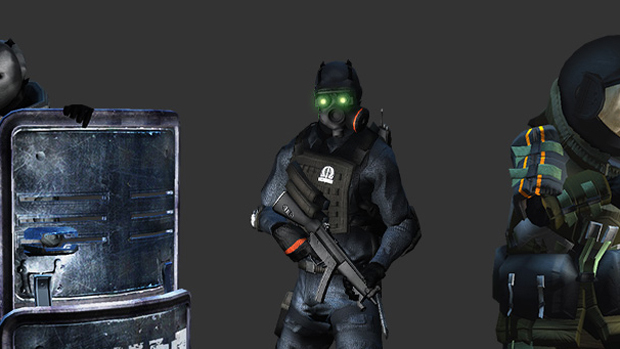 We've been told that the Cloaker - because of the green light emitted by his night vision goggles - bears a striking resemblance to the protagonist in a certain 3rd person sneaking game... We can only say that we're intrigued by the idea that those who are heroes in other games are the bad guys in ours! Return tomorrow to read about the next special unit, called the "Bulldozer".